A few years ago, I came across the word Spoonie for the first time. A Spoonie is the term often used to describe someone who is chronically unwell or exhausted with little energy to complete everyday tasks. The name Spoonie first originated from a blog post written by Christine Miserandino. In a nutshell she created the analogy of having a set amount of energy to use each day and compared this to having a number of spoons. Each spoon represents a simple task and once your daily allowance of spoons are used up, one finds themselves out of energy and exhausted. such as Spoonie, Spooniegirls, spoonies, Spooniestrong, Spoonielife. The list goes on. Some people like myself actively talk about chronic illness with others. We may talk about our illness and the effect it has on us online, in support groups, on a blog or social media. This can be really beneficial and help those who are chronically ill to feel supported. However sometimes spoonies remain closeted or choose not to share their experiences. There can be many reasons one might be a “Closeted Spoonie” and not want to share their illness or how they are feeling emotionally and physically. -Someone who is chronically unwell may fear annoying others with the details of their illness. -A chronically ill person may have been misjudged in the past especially if they have an invisible illness which is not visible from looking at someone. -Being unwell, you can often feel a burden to others and may not want to appear negative by complaining or going on about your condition. Someone who is unwell may be struggling to accept their condition and may still be suffering from denial hoping they are going to suddenly get better when the reality is unlikely. -Often people with chronic illness feel misunderstood especially when those unfamiliar with “Spoonie life” have unrealistic expectations of the person who is unwell or sick. When I first started blogging I felt very self-conscious regarding my illness and was quite reluctant to talk about it often on the blog. I even considered dropping the subject at one point as I really worried about what others would think. I worried people might get sick of hearing about my health problems, Some probably do and so I limited myself to only talking about my health once a fortnight. As time has gone by, I’ve come to realise that being a “Spoonie” and having chronic illness is part of who I am and therefore it should be a part of my blog. I’ve also come to realise that my blog has a great purpose. It not only raises awareness, it helps those who are unwell to feel supported and is therefore beneficial to such people. Over the past month, I’ve had some wonderful emails from people thanking me for doing what I do, talking about my illness and sharing with others. I’ve been thanked on social media and asked to keep going. I’ve been told my posts are useful and helpful and that they make a difference. The feedback is so positive that I’ve become less worried about annoying people and feel more empowered through sharing. It’s taken years for me to realise just how ill I am. A chronically unwell person does go through different stages of grief due to that which is lost. It can be heartbreaking and a struggle and takes time to learn to cope and manage in the circumstances you find yourself in. I might have been a closeted Spoonie for the first 5 years of my child’s life. After all, I became physically unwell after the birth of my daughter but now, I will shout from the rooftops and do my best to share what life is like for someone like me and for others who sometimes suffer in silence or are misunderstood. I’ll share my experiences and tips and do my best to support those around me and hope that by spreading awareness I am making a difference. 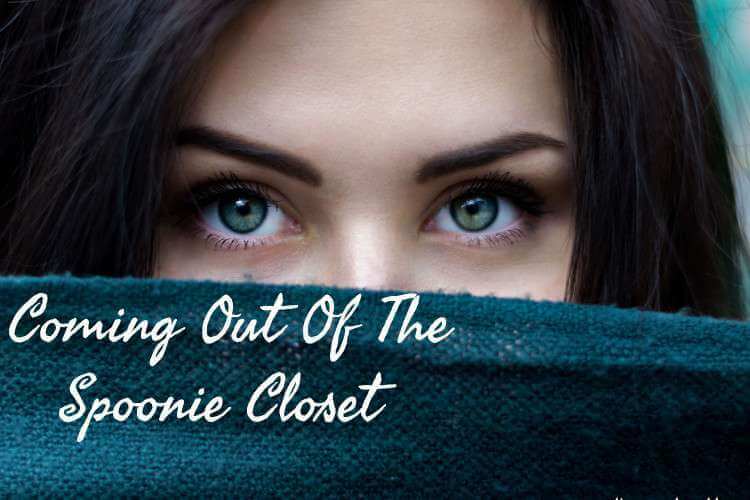 Let’s all come out of the Spoonie Closet and share with the world in the hope of being better understood and supporting one another whether ill or not. What a great post! & I have learnt something as I have never heard the term spoonie before. The fact is there is no reason to stay quiet about illness for fear of boring or annoying people – any of us could be doing that with our posts and subject matter. In fact, talking about illness is providing inspiration, support and education on something important, so much less likely to be annoying than most! thanks for your lovely comments. It’s true, many don’t see the life of the chronically ill as we are not always on the streets or at the market or wherever else every day “healthy” people are and when we are we often dont announce how ill we are or how much we are suffering from being there. Love your blog header, and happy to meet you via Friday Reflections! 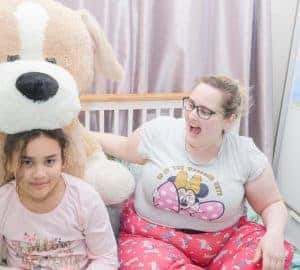 yes Blogging is making it easier to share and raise awareness and that is brilliant especially for those of us stuck in the home with a voice and message to share! 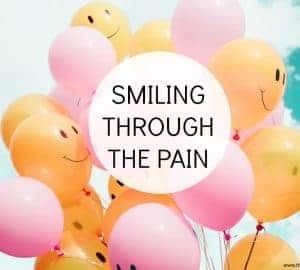 This is a powerful post, I haven’t heard of the term Spoonie, I think you are amazing for sharing your experiences it isn’t easy to come out of the closet so to speak as you say especially for invisible illnesses but you are brave, you are a beautiful woman and a beautiful mother I can see that. I think you will inspire many people through your words. Hello there! It’s your neighbor on the “Anything Goes Link Party”. I have to admit that I have never heard of the term spoonie but it makes perfect sense. I feel similar but not for myself for my son. He is sick a lot and I fear that my friends will judge, not believe me or get sick of hearing it. Now, when they ask how I am, how my son is, I say, “Just fine”. I can totally relate to this. Thanks there. Yes, I see what you mean. Sometimes it’s easier to just say we are fine because some people just don’t and cant understand. I had no idea what Spoonie meant either, until I read this post! Very interesting. love this term Angela! I’ve never heard it before. 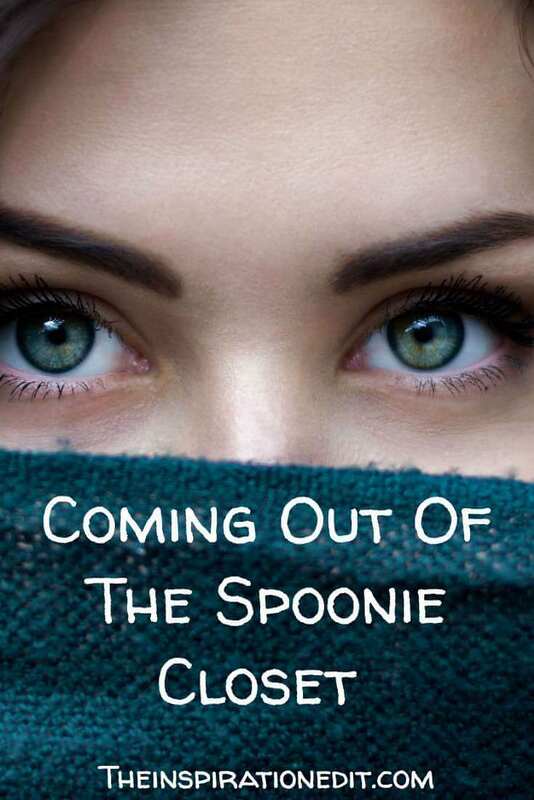 Living with chronic illness and exhaustion is so tough…”spoonie” adds an endearing edge to it. You’re absolutely right, talking about it helps so many other people! Thank you for sharing your story. You are making a difference Angela. This is a very well thought out post and accurate. It is sad that we have to gag ourselves for fear of trolls when blogging about our own lives. Well done for taking a stand and being you when you blog. Sorry to hear you are struggling at the moment. I hope it turns around for you soon! Spoonie here! I have been out of the closet since I got sick, but it’s so hard for others to get or understand or comprehend that although I look like me I cannot do what I used to. “When are you going to get better…” Annoys me! So does “You don’t look sick!” LOL I’m sure we’ve all heard it. I don’t think anyone outside of my immediate family could name my disease although I’ve written about it tons. But we love them anyway! LOL Kudos to you on working through it and making life work for you. I can totally relate to the “you don’t look sick”. I often get the “you don’t look disabled stare” when we park in disabled area! It’s really not good and I get it from elderly a lot!